CPR/First Aide recertification: It is the students responsibility to maintain CPR / First Aide certification. This requires a recertification every two years. 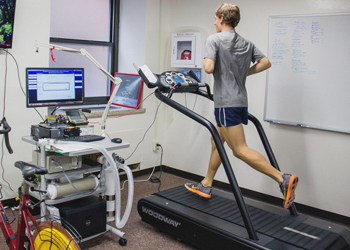 Currently, the Program in Exercise Science offers recertification courses at a cost of $25, or students can pursue recertification on their own and provide proof to the program offices. An Athletic Training Student supply bag purchase is required the first year of the program at a current cost of $95. This includes basic lab supplies, such as a goniometer, blood pressure cuff, stethoscope, and other equipment that will be utilized in labs and medical kits throughout the student’s time here. Students are required to maintain NATA membership throughout their time in the Athletic Training major at Marquette. Currently, this initial cost is $35, with renewals at $75 yearly. Additionally, students will incur travel expenses to their clinical sites in the final 2 years for the undergraduate AT major, and both years for the professional phase of the MATR. These costs are variable depending on the students particular site selection, vehicle access, bus routes, and distance. Occasionally clinical sites will require a background check prior to allowing students into their setting. This cost is the student’s responsibility and can range from $20 to $100 depending on the extent required. Additionally, clinical sites may have requirements related to attire. The cost varies with the required attire, and is the student’s responsibility to acquire the appropriate attire for the sites that they wish to be involved in clinically. Freshmen: $130 (Supply bag, and initial NATA membership). Sophomores: $75 (NATA membership renewal). Juniors: $100 (CPR and NATA membership renewal) plus travel expenses to clinical sites. Seniors: $75 (NATA membership renewal) plus travel expenses to clinical sites. MATR year 1: $155 (CPR, Supply bag, and initial NATA membership) plus travel expenses to clinical sites. MATR year 2: $75 (NATA membership renewal) plus travel expenses to clinical sites.